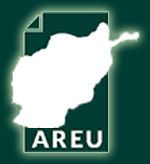 AREU researcher Adam Pain presented findings from his fieldwork on the drivers of the opium economy in two contrasting provinces: Badakhshan and Balkh. It was an opportunity for the sharing of preliminary research results and discussion among stakeholders as to their implications. He explored the opium poppy economy within a broader lens of the contemporary rural economy and its governance.